Roger Plemmianikov a.k.a Roger Vadim was a director, scriptwriter, producer, actor and a great seducer...He will be reminded as a filmmaker who loved directing the women of his life, Brigitte Bardot, Catherine Deneuve, Jane Fonda ...who all had been his wives; private and professional life were one to him all along his life. After the war, he soon became an essential icon of Saint-Germain des Prés; he first tried painting, then theatre, before becoming a reporter for Paris Match from 1953 to 1955. He eventually entered the world of cinema by collaborating with Marc Allégret. In 1956 he made his first film Et Dieu créa la femme, starring a young Brigitte Bardot. 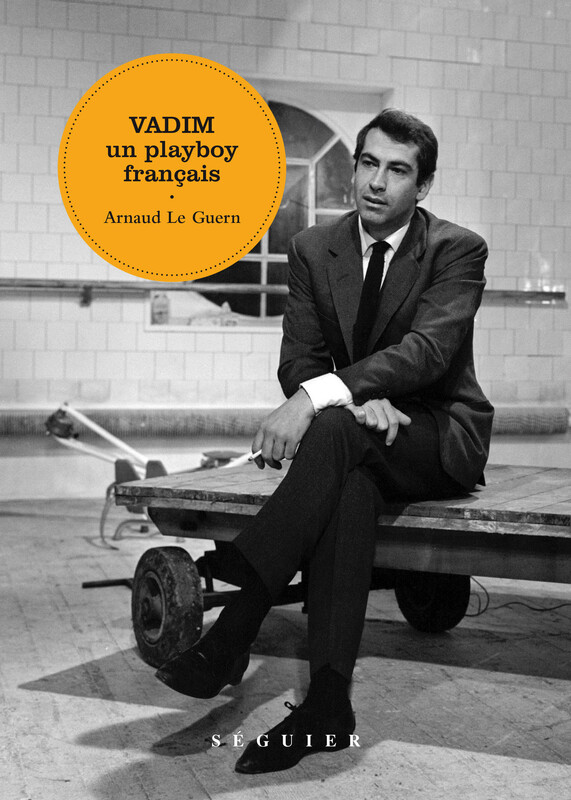 He was soon more or less associated to la Nouvelle Vague, the new wave of French cinema. Some saw him as a mere scandalous filmmaker; others thought he was a very gifted director. Later in the Nineties, he had to make difficult career choices and devoted himself to writing and theatre. Arnaud Le Guern is a writer, publisher and journalist. He is known for his book Une âme damnée, Paul Gegauff, published by Pierre-Guillaume de Roux. Arnaud Le Guern est écrivain, éditeur et journaliste. Il est notamment l'auteur d'Une âme damnée, Paul Gégauff, aux éditions Pierre-Guillaume de Roux et d'Adieu aux espadrilles (éditions du Rocher), retenu dans la première sélection du Renaudot 2015.